James Bay's new album was influenced by Florence + The Machine's Glastonbury performance. 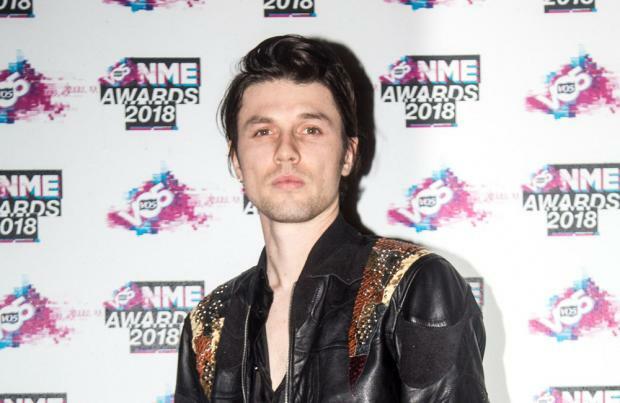 The 'Us' singer studied his pal Florence Welch and her band's headline performance on the Pyramid Stage last year - and subsequently learned how to make his new tunes appeal to a "bigger audience". Talking about the 'Dog Days Are Over' group stepping in for Foo Fighters at the world famous festival in South West England, after frontman Dave Grohl broke his leg, James told The Sun newspaper: "Playing the main stage at Glastonbury in 2015 in front of 70,000 people was something I will never forget. "Then being there for the rest of the weekend, I could appreciate the impact of the big hit songs and how they influence people. "Like watching Florence and the Machine headline. "When Dave Grohl (of the Foo Fighters) broke his leg and couldn't play and Florence stepped up, she was amazing. "I'm a big fan and I like Florence -- we always chat when we see each other. "It was wicked to see her get up there and absolutely nail it. "Her Glastonbury performance was a lesson." The 27-year-old singer/songwriter - who releases second studio album 'Electric Light' on May 18 - hailed their show "mind-bending", adding: "Watching her play loads of her greatest hits as well as new material on that stage in front of all those people, was mind-bending and brilliant. "So my new album is also inspired by Florence. "It's music for bigger audiences. "However intimate my music was before, it now has to be played to bigger audiences. "So this new record is still me but on a bigger scale." James previously revealed that he drew on pop artists such as Prince, David Bowie, LCD Soundsystem, Lorde and Frank Ocean on the follow-up to 2015's 'Chaos and the Calm'.